You may not be aware of it, but there is a small principality just 6 miles off the coast of Suffolk, England. 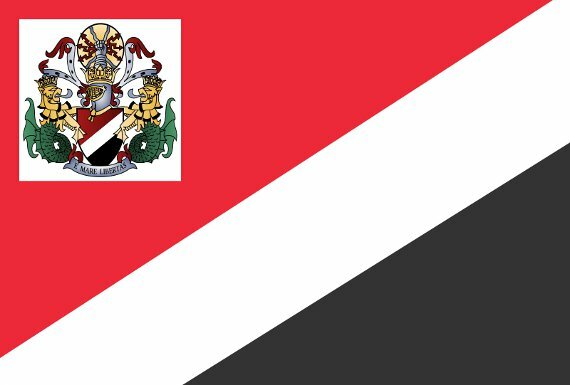 You might not have heard of it because the UK government does not actually recognise it as a principality, but that doesn’t bother the Prince Regent Michael Bates or his father, the mighty ex-army Major, Prince Roy Bates, leading members of the Royal Family of Sealand. Allow me to tell the story of one of the worlds smallest micro-nations. Sealand, officially known as HM Fort Roughs is actually a fort dating back to World War II, created to ward of German mine laying aircraft that might try and target the estuaries. The fort was occupied by 150-300 navy personnel over the duration of the war, and was left empty in 1956, having served its purpose. 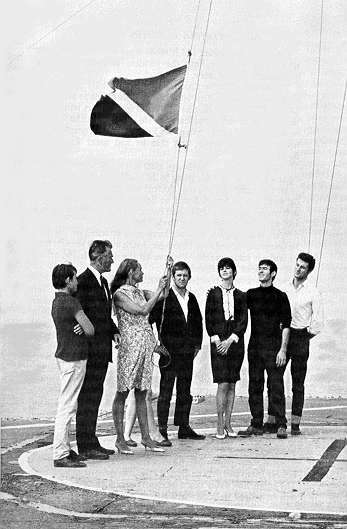 In the late 1960’s there were numerous pirate DJs broadcasting from boats in the area, including the well known Radio Caroline. Knowing that the old fort had radio communication technology, a group of broadcasters known as Radio City decided to use it as a base for their radio shows. Paddy Roy Bates was an ex Major in the British army, but was now a pirate radio broadcaster. 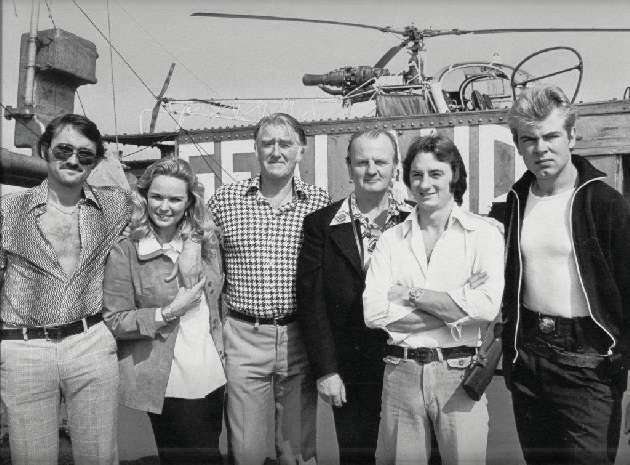 Having already been fined for using Naval equipment from another sea fort, in 1967 he raided Fort Roughs and forced the members of Radio City to retreat, effectively taking control of the old naval base. Then, along with his family and a few friends, he declared the fort as the independent state of Sealand, raised a newly designed flag and made his wife Princess Joan. They also produced Sealand passports for citizens and made their own currency. There then followed numerous confrontations with other pirate radio crews and the local authorities, all trying to remove the Bates family and regain control of the fort. Most of them were met by warning shots from the Prince Regent Michael, or petrol bombs hurled down the rope ladders. On one such occasion, Roy Bates and his son fired warning shots at workmen who had sailed too near to the base. 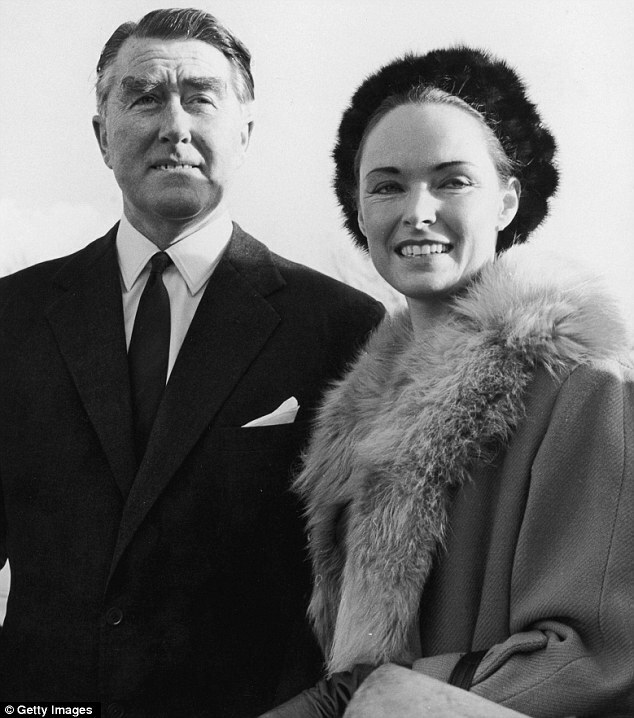 He was then summoned to court with his son, leaving the base in control of Princess Joan and her daughter. Apparently, the authorities considered a plan to send in marines to take control of the base whilst the menfolk were away. But in typical English fashion, this sort of action was considered, “A bit sneaky” and the plan was dropped. One of the most dramatic events to take place was when a man called Alexander Achenbach tricked the family into accepting him as a citizen of Sealand. He was made Prime Minister, but it was a deception. Achenbach hired several Dutch and German mercenaries to take the fort whilst Bates and his wife were in England. They stormed the base with helicopters and speedboats and took Prince Mike captive, locking him in his room. The Prince at one point overheard them say “Lets throw him overboard”. The Prince managed to escape and recaptured the fort with the help of his trusty rifle. Achenbach was arrested by the Major and charged with treason against Sealand. He was ordered to pay an equivalent of £23,000 for his release, forcing the governments of Netherlands, Austria and Germany to ask the British government to step in. 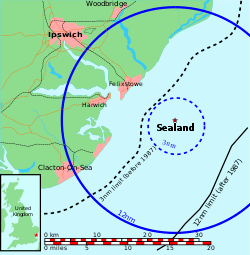 The British government could not help as Sealand was beyond the three miles of water under British jurisdiction. A German diplomat came to Sealand to negotiate Achenbach’s release. After several weeks, the Major agreed to let him go, citing the German diplomat’s visit as official recognition of Sealand by Germany. In 2007, the Swedish file-sharing website Pirate Bay tried to purchase Sealand after Sweden brought in harsher copyright laws, but the sale didn’t go through. 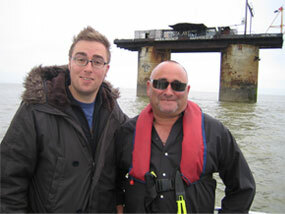 baz, you may not know this but myself and chris bowden are actualy lords of sealand. we purchased our lordships about 6 years ago. we have our own national anthem and certificate stating our title. its had quite a lot of history over the years and wars with the england concerning zoning laws, of which we managed to aquire official status of the country one day before international waters increased its barrier from 6 miles to 12! long live the king of sealand! Incredible, how much did that cost, my Lord?